The world famous Harlem Globetrotters, featuring some of the most electrifying athletes on the planet, will bring their spectacular show during their 2017 World Tour! The Globetrotters recently wrapped a busy 90th year tour, during which they named Pope Francis the ninth Honorary Harlem Globetrotter in team history, walked the runway at New York Fashion week, launched the Great Assist initiative alongside Good Morning America’s Robin Roberts – whom the team named also named an honorary Harlem Globetrotter – pledging to spread 100 million smiles over the next 10 years, broke seven Guinness World Records® and remixed the team’s legendary theme song, “Sweet Georgia Brown,” with the help of Grammy Award-winning producer/songwriter Teddy Riley. 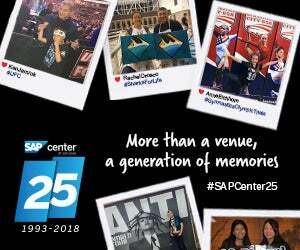 Outlined below are a few "Key Things to Know" about the event as well as SAP Center at San Jose. If you have any further questions, please don't hesitate to call us at 408-287-7070. 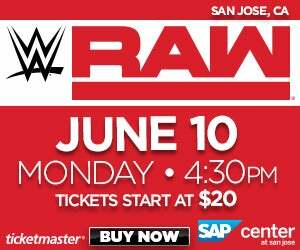 With a heavy volume of traffic expected Sunday afternoon, we encourage all show attendees to take advantage of the San Jose Diridon station located immediately across the street from SAP Center.